This vintage inspired 7mm comfort-fit Tantalum ring features a floral script detail. 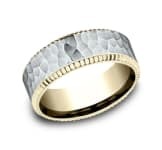 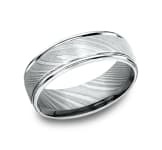 This Tantalum design band places a new emphasis on modern style featuring a stunning Mokume designed pattern. 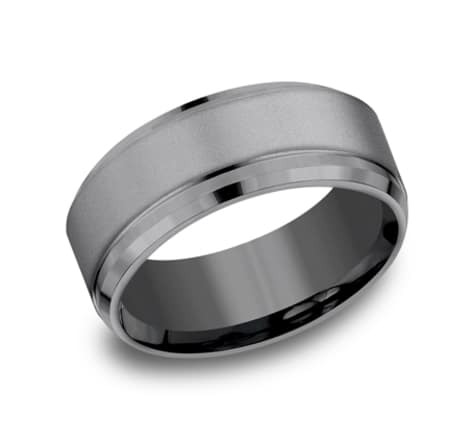 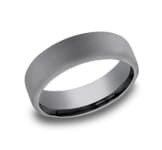 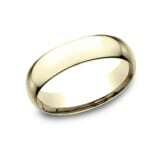 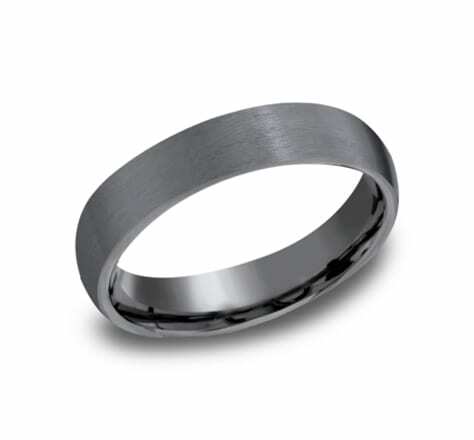 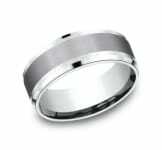 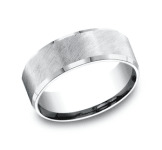 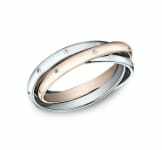 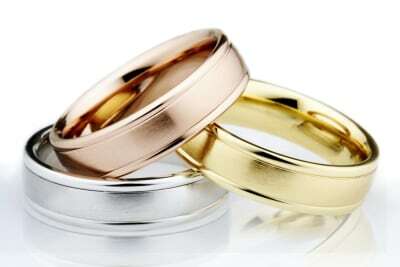 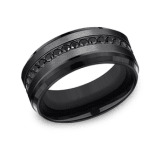 This stunning 8mm Tantalum band is organically blackened and features a slight flat satin finish surface and offers Comfort-Fit on the inside for unforgettable comfort. This beautiful 8mm Tantalum comfort-fit channel set diamond band features a high polished round edge that surrounds 12 beautiful round ideal-cut diamonds. Total diamond carat weight is approximately .96ct. 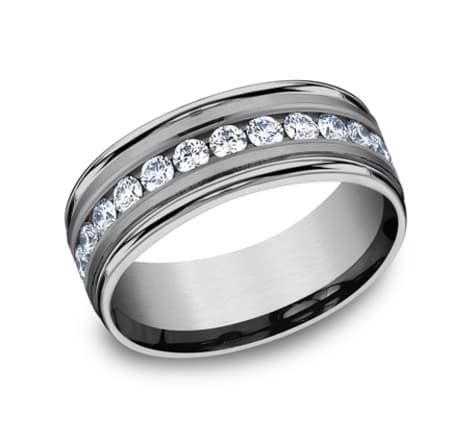 This beautiful 6mm Tantalum comfort-fit channel set diamond band features a high polished round edge that surrounds 7 beautiful round ideal-cut diamonds. 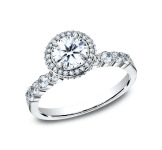 Total diamond carat weight is approximately .42ct. 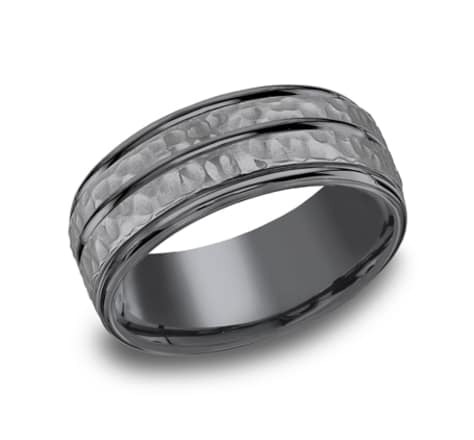 This beautiful 6mm Tantalum comfort-fit etched channel set diamond eternity band features a satin-finish and a polished horizontal center trim between rows of three round cut diamonds. 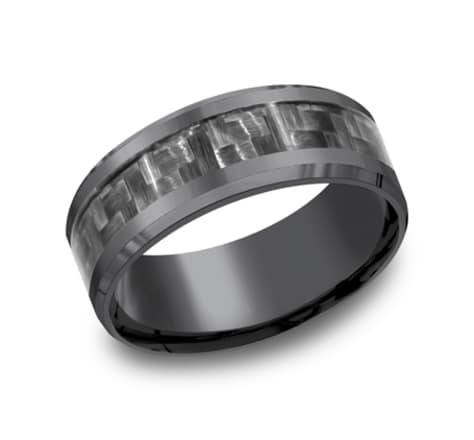 This beautiful 8mm Tantalum comfort-fit etched channel set diamond eternity band features a satin-finish and a polished horizontal center trim between rows of three round cut diamonds. This remarkable satin-finished 7.5mm Tantalum comfort-fit diamond band features 20 channel-set black round ideal-cut diamonds. 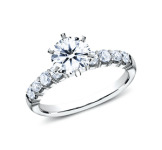 Total diamond carat weight is approximately .40ct. 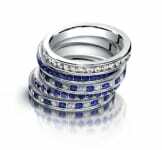 This remarkable satin-finished 7.5mm Tantalum comfort-fit diamond band features 20 channel-set lab diamonds. 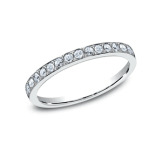 Total diamond carat weight is approximately .40ct.